With a backdrop as stunning as the Sonoran Desert, it is no surprise that Arizona is one of the top destinations in the country. Known nationally and abroad for its art and cultural amenitiesm this desert sanctuary draws millions of visitors each year. The Scottsdale Arts District, nestled in Old Town, is one of the state's many art hubs and is home to more than 125 fine art galleries and studios - one of the highest per-capita anywhere in the nation. Other popular art districts include the Roosevelt Row Arts District (RoRo) in the urban core of downtown Phoenix, which is nationally known for its arts and cultural events, award-winning restaurants, galleries, boutiques and live music; Tlaquepaque Arts & Crafts Village in Sedona; Sublette Medicine Man Gallery in Tucson and the downtown Tucson arts district, which boasts 215 art groups and organizations plus more than 35 art galleries. Other cities boasting impressive art districts include Prescott, Bisbee, Flagstaff, Wickenburg, Litchfield Park, Mesa, Ternpe and more. Trudy Hays, director of Overland Gallery of Fine Art in Scottsdale, comments on the current art market, "We love the personal experience we provide our collectors when they walk into our gallery during one of our shows...we are so fortunate to represent such a fine group of artists. Their work continues to find favor with collectors and we see a definite upswing in the art market." Dr. Mark Sublette, president of Mark Sublette Medicine Man Gallery, adds, "There is no shortage of buyers for the best-of-class material, it's less a matter of price than it is availability." Important museums are located throughout the "Grand Canyon State," including the Phoenix Art Museum, Desert Caballeros Western Museum, Smoki Museum, Phippen Museum, and the Museum of Northern Arizona. Additionally, the Heard Museum - one of Arizona's most famous Native American art and history museums - provides insight into the culture of Arizona's 22 Native American tribes. Shows abound throughout the state drawing crowds from around the nation. Significant events include The West Select at Phoenix Art Museum; Cowgirl Up! at Desert Caballeros Western Museum; Celebration of Fine Art; the annual Heard Museum Guild Indian Fair & Market; Wigwam Festival of Fine Art; Scottsdale Fall for the Arts; Scottsdale Salon of Fine Art; Grand Canyon Celebration of Art; Mountain Oyster Club Contemporary Western Art Show and Sale, and countless others. Major annual auctions with stellar results also call Arizona home. Upcoming auctions include the popular Scottsdale Art Auction, April 5; Altermann Galleries & Auctioneers Scottsdale Auction, April 3; and the High Noon Western Americana Auction, January 25. Artwalks can be found in almost all the art hot spots. Some of the mainstay outings include downtown Scottsdale's Thursday night ArtWalk - a 30-year tradition that's popular with both residents and visitors alike; the First Saturday Jerome Art Walk, which boasts 25 galleries and studios welcoming visitors; the Sedona Gallery Association's 1st Friday gallery events each month; and the fourth Friday of the month offers Prescott locals and visitors a night out to mingle and experience fine art. And, due to its beauty, creative draw and ideal weather, Arizona is home to a multitude of artists - ncluding Bill Anton, Scott Baxter, Jay Dusard, Darcie Peet, JR Eason, Cynthia Rigden, Bill Nebeker, Robert Peters, and John Coleman. Several other artists include Ed Mell, Howard Post, Francois Koch, Matt Smith, Cody DeLong, Trevor Swanson, Merrill Mahaffey, Patricia Dobson, Dustin Van Wechel, Curt Mattson, April Howland and more. 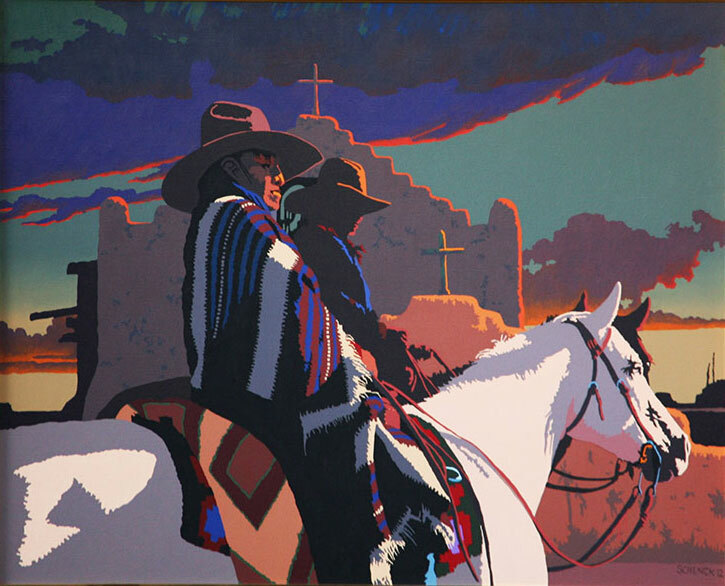 Mark Sublette Medicine Man Gallery specializes in the life work of famed Western painter Maynard Dixon, famed San lldefonso potter Maria Martinez, and works by the Taos Society of Artists and Founders and early Santa Fe and Taos art colonies. The gallery also houses a large inventory of Native American art, including rugs and blankets, pottery, baskets, kachinas, old pawn and contemporary jewelry, and beadwork, plus the Tucson Maynard Dixon Museum, which features Dixon's original oils, drawings, illustrations, poetry and easel. In addition, the gallery exhibits works by the Southwest's most acclaimed contemporary painters and sculptors. 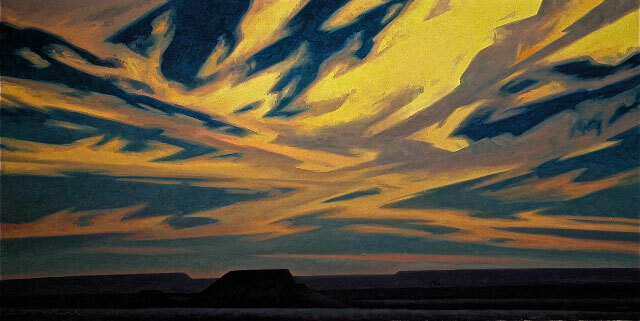 Recently, the gallery hosted a Mary- Russell Ferrell Colton show and sale on December 7, noon to 4 p.m. Upcoming exhibits include new works by Billy Schenck opening January 17, 5 to 7 p.m., and an exhibition of new works by famed Arizona artist Ed Mell opening February 7 with a reception from 5 to 7 p.m.